The cords on our devices are disappearing, enabling us to work faster and more efficiently. So, why aren’t we embracing wireless technology? Everywhere you look, the cords are dropping off our tools and devices. Forget about buying a corded drill to tackle that home improvement project, almost everything is cordless today. Truth be told, cords have been disappearing for decades. The first cordless power tool was introduced by Black & Decker in 1961, but it was NASA that truly ignited the cordless revolution. In the race to explore the moon, the space agency needed a battery-powered drill astronauts could use to collect rock samples located far away from the space module. Dragging a cord across the vast lunar surface wasn’t practical, so the device had to be battery powered and able to operate at extreme temperatures and in zero-atmosphere conditions. Black & Decker developed a cordless rotary hammer drill that fit the bill. With that early cordless drill, NASA forever changed the nature of manual work. This, coupled with the advent of powerful, long-lasting lithium ion and nickel cadmium batteries, gave us the freedom to take the tool to the work, rather than bringing the work to the tool. No longer tethered by a cord, we can go anywhere the job takes us, making work more convenient and us more productive. Why Hasn’t Everyone Made the Break? Despite the rampant cord-cutting, one place has remained stubbornly immune to the trend: contact centers and other call-intensive workplaces. While many employees everywhere enjoy cordless freedom, most of those who listen and talk for a living remain tethered to their workspaces, with a devastating impact on both productivity and customer satisfaction. Studies show that wireless headsets improve worker productivity and enable them to unleash the vast power of conversation. In a 2015 study, 56% of corded headset users reported that their productivity was negatively affected by being restricted to their desk. The beauty of wireless is that it fulfills the promise NASA sought with that early hammer drill: enabling workers to go where the work takes them. And, while plenty of contact center work is performed at a workstation, lots of it still isn’t. The typical worker spends 32% of their time working in a radius of up to 12 meters from their desk. By adopting cordless technologies, contact center employees enjoy the luxury of more freely moving about to find the information they need while remaining on the call. That could mean more quickly getting a signature or approval from a supervisor, requesting additional information from a subject matter expert or checking on a date or fact in question – and doing it all without putting the caller on hold or having to call back later. This means faster resolution of issues, greater productivity and, at the same time, happier customers. With so much to gain, it’s a mystery why call-centric employers haven’t more aggressively embraced wireless technologies. Maybe it’s cost. 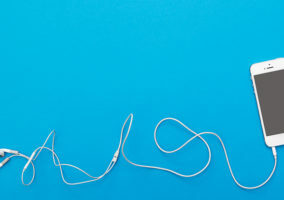 But unchaining people from their desks to do more work and boosting the productivity, with more than half of the employees, by cutting the cord should far more than offset any additional expense of a wireless headset. Put another way: cordless headsets can make good economic sense. 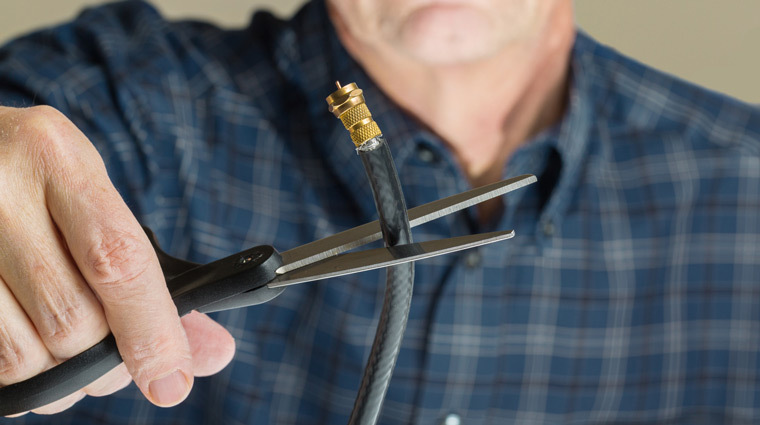 So, to all those contact centers out there: it may be just about time to join the rest of us and cut the cord! Jabra gives contact centres a powerful way to satisfy more customers. Jabra headsets are designed to fit the unique needs of contact centres that want to meet their customers whether they are – online or on the phone – using the latest acoustic and communications technology. Comfortable, durable, hygienic and easy to use, Jabra headsets have plug and play capabilities, wideband sound and industry leading noise-reduction technology that enable you to increase the number and quality of calls and contact and improve customer communication, service and experience. Is Traditional Wireless Technology a Waste of Space?